A little something that almost slipped under the radar yesterday, relates to a piece of transfer speculation that links Chelsea with the acquisition of somebody else who will soon be the wrong side of thirty. 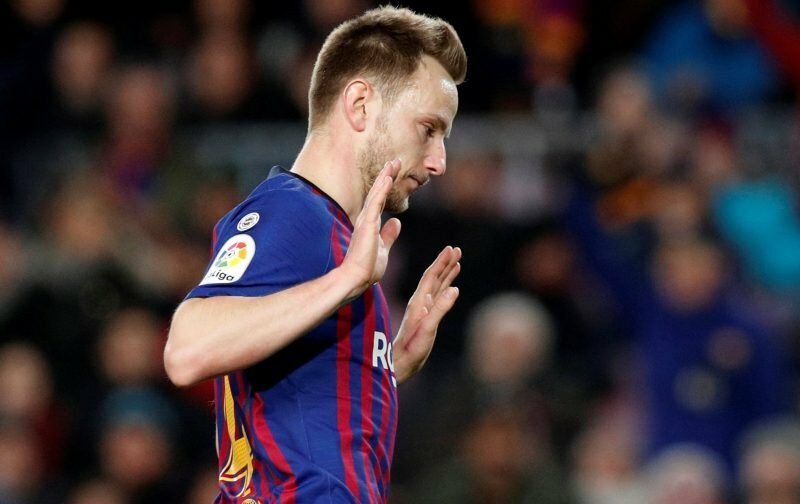 In direct contrast to the direction we thought the club were heading, the news source, the Daily Mail, is reporting that Chelsea have rivals for the signature of the Barcelona midfielder, Ivan Rakitic. It seems that Manchester United are also interested in signing the 30-year-old who, during his Barcelona career has been more of a squad member than a regular in the starting eleven. But, if Chelsea’s interest is genuine and we are, to put it politely, looking to add another experienced player to the squad, the following might give you a fright. Our referenced source is suggesting that the proposed fee for the 30-year-old would be a staggering £57 million. This a move I wouldn’t put beyond a clueless hierarchy! Kessi is on the market for ½ that and he’s two time’s what Rakitc is! Stronger, faster, younger, “cheaper”……..and that’s the reason PSG feel they can out muscle us, cause we losing out elite status! We were a club that top talent would offer an arm and a leg to play for!!!!! Now we lose targets to rivals with shameful ease! Leandro Panderes was snatched away from our clutches by a ruthless PSG, and we couldn’t do diddly squat!!! We were a team that Robben choose over UTD, Mikel Obi was furiously persued by UTD but chose us! We got Willan to ditch the Spuds while under going his medical to sign for Chelsea!!! We are being called the new Arsenal, at this point in time! PSG want to pull another coup by strong arming us to Kessi’s signature, while we still being linked with ridiculous targets that are utterly senseless!! I think Chelsea are tired of us..